Air New Zealand has revealed its second highest profit result. Air New Zealand says it is optimistic about the year ahead as the competitive environment eases after reporting a 17.5 per cent decline in full year profit in 2016/17 as it battled the arrival of new entrants into its home market. Net profit for the 12 months to June 30 2017 came in at NZ$382 million (A$351 million), down from NZ$463 million (A$426 million) in the prior corresponding period, but still the second highest result in the airline’s history. Revenue fell 2.3 per cent to NZ$5.15 billion, Air New Zealand said in a regulatory filing to the Australian Securities Exchange and New Zealand stock exchange on Wednesday. The company is listed on both sides of the Tasman. 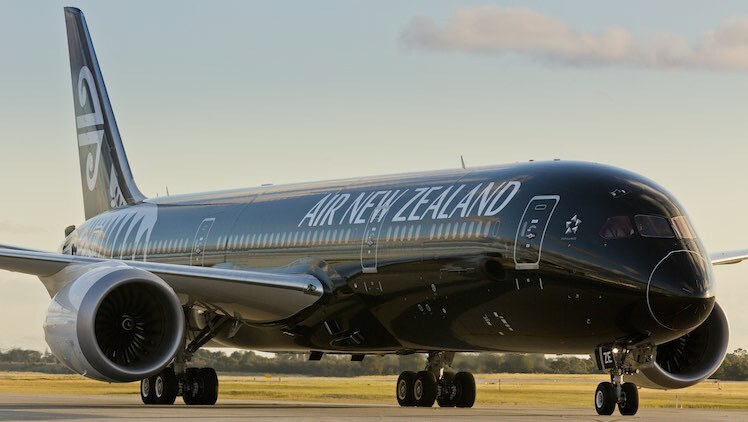 Over the past two years, Air New Zealand has been in expansion mode, with long-haul services to Buenos Aires, Houston and Singapore launched as the airline sought to take advantage of strong growth in visitor numbers to New Zealand. Other carriers have also been keen to tap into the local tourism market – Emirates and Qatar commenced non-stop flights from Auckland to their Gulf hubs, while the airport fire trucks were kept busy welcoming Chinese carriers adding new flights to New Zealand from both major and secondary Chinese cities. Qantas-owned Jetstar also commenced regional flights in New Zealand with Q300 turboprops. However, in recent times there are signs some carriers are pulling back from the New Zealand market – Emirates has ended its Airbus A380 Sydney-Auckland tag flights, American and United have switched their year-round nonstop flights to Auckland from Los Angeles and San Francisco, respectively, to seasonal services. Earnings before taxation, which excludes one-off charges and which the airline regarded as the best indication of financial performance, fell 21 per cent to NZ$527 million, from $NZ806 million in the prior year. The result was broadly in line with financial guidance issued in June when the company said earnings before taxation was “likely to exceed NZ$525 million”. Air New Zealand chief executive Christopher Luxon said the financial results highlighted how well the airline had weathered the increase in capacity into New Zealand. “This year Air New Zealand faced an unprecedented increase in the level of competition from some of the world’s largest airlines and effectively rose to the challenge,” Luxon said in a statement. In terms of the outlook, Air New Zealand said was “aiming to improve upon 2017 earnings” in the current year. “The airline is optimistic about the overall market dynamics,” the company said. Air New Zealand said it expected to grow capacity on trans-Tasman routes five per cent in 2017/18, as it upgauged some routes to larger aircraft such as Adelaide-Auckland, which will receive Boeing 787-9 services over summer. Long-haul capacity was tipped to rise three to five per cent, mainly due to new flights to Tokyo Haneda that commenced in July. Air New Zealand’s domestic network was expected to grow capacity four to six per cent as it tapped into the popularity of Queenstown as a tourist destination and more jet services across the country. The company declared a final dividend of 11 NZ cents per share. Good to see the staff getting a bonus too.